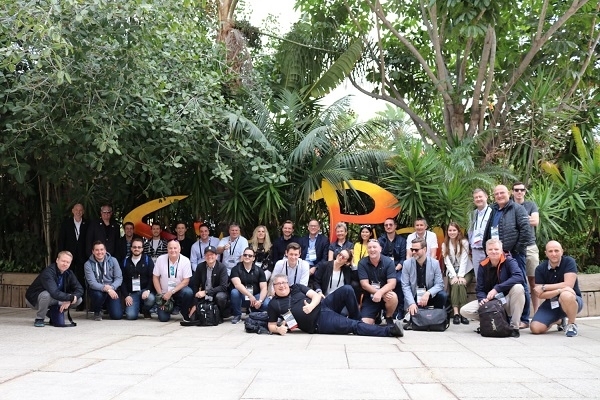 Loro Parque and Siam Park recently hosted Winter Forum 2019, organised by the European office of the International Association of Theme Parks (IAAPA), which was held in the Canary Islands for the first time this year. The event enabled the participants to discover the most beautiful leisure options of the archipelago. At Loro Parque, they were able to experience an impressive animal embassy that offers the unique experience of experiencing wildlife like never before, with species and ecosystems of the five continents. They could also enjoy the educational presentations of the orcas and dolphins and be surprised by the latest novelties: The dwarf hippopotamus enclosure and in the immediate vicinity, the Katta's, as well as the extraordinary sunken garden, Jardín Zen, unique in the world. At Siam Park, the two new and spectacular novelties fascinated the visitors: The Patong Rapids, which surpasses all previous courses and even the incredible Mekong Rapids, extending over a length of 235 metres, including an area in total darkness. The new children's area Coco Beach, with a 1000 m2 wave pool specially designed for the youngest, recreates the famous ruins of Angkor Wat. Amanda Thompson, IAAPA's second vice president, assured that all participants of the Forum enjoyed the trips to the two parks very much. "These are really the best parks in the world and only those who have visited them can describe the magic that this experience contains," she confirmed.